Congress is cracking down on their dress code. Congressional reporter Haley Byrd had to leave the Speaker's Lobby in May for wearing a sleeveless dress. The outfit was deemed inappropriate for the room, which has an enforced dress code. In the designated area where reporters often wait to grab representatives for interviews, men are expected to wear suit jackets while women are expected to wear sleeved clothing. 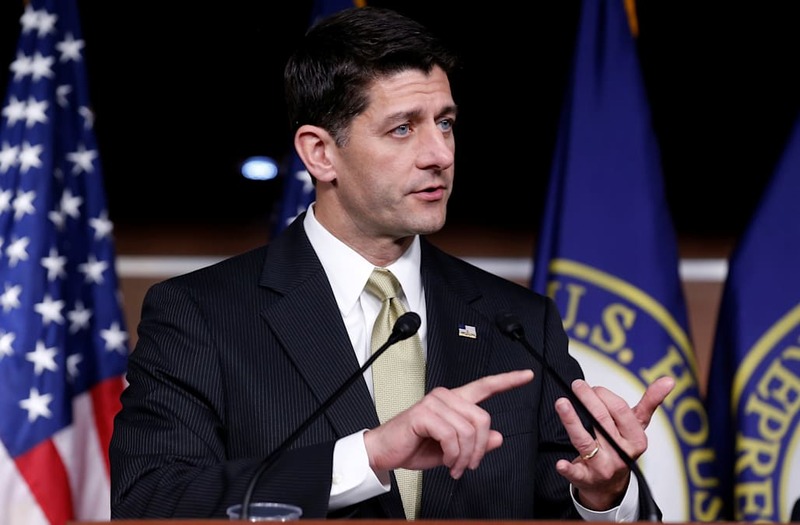 In June, Speaker Paul Ryan decided to reiterate ideas of "proper attire" in an announcement to lawmakers. "Members should wear appropriate business attire during all sittings of the House, however brief their appearance on the floor may be," Ryan said. Congress literally has a stricter policy on sleeveless tops than they do on possible Russia collusion. However, there have been exceptions to this dress code in the past -- Michelle Obama wore sleeveless dresses to several State of the Union addresses in the House chamber. Despite all this, there is no official record of what should be worn in the Speaker's Lobby. There are no documents that specify what must be worn; It's largely up to interpretation. The dress code is slow to adapt, as well. One of the more recent -- or, not so recent -- changes occurred in 1837, when lawmakers were banned from wearing hats.